WASHINGTON (April 25, 2012) -- After six months as chief of staff, I can see clearly that the coming decade will be a vital period of transition for the U.S. Army. The service will have to adjust to three major changes: declining budgets, due to the country's worsened fiscal situation; a shift in emphasis to the Asia-Pacific region; and a broadening of focus from counterinsurgency, counterterrorism, and training of partners to shaping the strategic environment, preventing the outbreak of dangerous regional conflicts, and improving the army's readiness to respond in force to a range of complex contingencies worldwide. To ensure that declining budgets do not lead to shortfalls in training and equipment, the size of the active-duty force will have to be reduced. The reductions will be painful, but they are necessary and can be done responsibly. We must do our utmost to ensure that the soldiers leaving the force are treated fairly and that they and their families are provided with support to help them successfully transition to civilian life. We must also cut units as we cut soldiers, to prevent units from becoming undermanned and ineffective. Although maintaining a smaller active-duty army will involve some risks, those risks will be less than some believe because of the changes that have taken place in the army in recent years. Today's force is qualitatively different from the army of a decade ago. It is more combat seasoned, more tightly integrated with the other military services and with special operations forces, and more technologically advanced. Today's army also has an unprecedented level of integration between its active and its reserve components. The Army National Guard and the Army Reserve have stood shoulder to shoulder with active-duty troops around the globe, and the level of trust, respect, and mutual understanding between them is unparalleled in the army's history. Our reserve component soldiers are better than they have ever been, and we will dedicate resources to ensure that some of them will be either deployed or ready to deploy around the globe. Multiple initiatives are under way to ensure that the army continues to improve the stewardship of its resources and increase its return on the investment of public dollars. 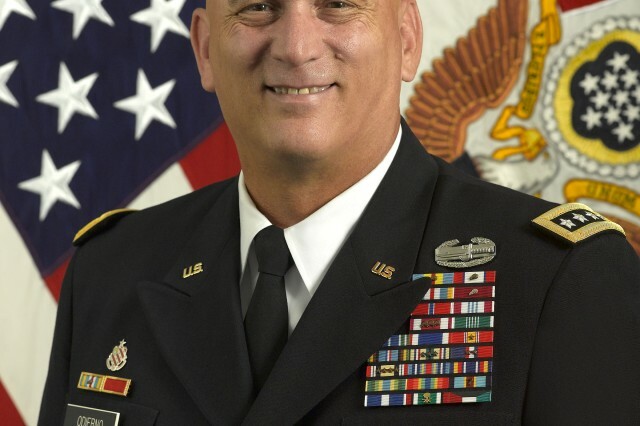 These include broad-based reforms of the processes that support key army functions, changes to how the army defines its equipment needs and then buys and fields systems to meet them, a careful examination of both institutional and operational headquarters to eliminate excess layers of command, and the pursuit of alternative energy sources and practices that can increase operational effectiveness while also saving money. Ultimately, maintaining the army the country requires with fewer resources will mean balancing three variables: the overall size of the force, its equipment, and its training and readiness. All the budgetary adjustments I recommend as chief of staff will be governed by the necessity of ensuring that each of these pillars is sufficiently robust to field an army with the capability and capacity to perform its assigned missions. The United States serves as a critical guarantor of stability in the Asia-Pacific region, and a robust joint military presence there is an important part of the country's broader regional strategy. U.S. naval and air forces maintain the ability to provide rapid strikes, and if a broader conflict arose, they would play a key role in enabling the entry of the U.S. Army or the Marines into the theater. But the army has a critical regional role to play in peacetime as well. The presence of army forces in the region is an essential component of deterrence against aggression, complicating potential adversaries' planning and diverting their resources from other investments. And despite the region's vast expanses of oceans, Asia's militaries remain dominated by armies, making the U.S. Army's robust relationships with its regional partners a vital resource in a broad range of situations. The recently announced training initiative between the United States and Australia has already demonstrated a renewed U.S. commitment to the region. This adds to the army's partnership with South Korea, its long-standing record of exercises with Japan and Thailand, and special operations forces' training missions in the Philippines. Over the next decade, the army will build on this strong foundation, seeking opportunities to engage new partners. We will also look to increase exchanges with other forces, better align our foreign assistance programs with additional engagement opportunities, and explore a range of other changes, from new command-and-control structures that would enhance responsiveness to modifications in how army forces in the region are provisioned to increase their readiness. Of course, even as the army increases its activities in the Asia-Pacific region, it will retain substantial responsibilities elsewhere in the world. The posture of the U.S. military in the Middle East is critical to maintaining regional stability there. Peace between Israel and its neighbors remains elusive, Iran's behavior continues to be provocative and destabilizing, and the trajectory of the Arab Spring is by no means fixed. To maintain U.S. influence, particularly if additional U.S. naval assets will be devoted to the Pacific, the army will continue to need some combination of prepositioned equipment and a permanent and rotational presence there throughout the next decade. In most of Africa and the Americas, as elsewhere, the dominant military forces are armies, giving the U.S. Army a major role to play in continued U.S. military engagement. In Africa, past partnership activities have included assisting local forces in assuming greater responsibility for peacekeeping operations, and this will remain an important responsibility. With wars proceeding elsewhere, the army's efforts in both Africa and the Americas have been limited in recent years. But we are exploring new ways to enhance our support to the U.S. Africa and Southern Commands as needs arise and existing operational commitments decline, while remaining respectful of local sensitivities. Relationships with our European partners will be even more critical as so many Western nations reduce their defense expenditures. We have already announced the removal of two army brigades from Europe. But we will continue our pattern of robust engagement with our allies and partners in the region by deploying rotational forces to ensure continued interoperability and the further development of advanced military skills. Furthermore, the army intends to continue to invest in logistics hubs, intelligence facilities, state-of-the-art medical capabilities, and training grounds there, all of which serve as dramatic multipliers for U.S. joint forces and allied military activities both within and beyond Europe. Finally, the challenges in the United States itself remain daunting. Although the actions of our forces overseas have helped preclude more terrorist attacks on the U.S. homeland, the threat persists. The need for U.S. armed forces, and the army in particular, to provide planning, logistical, command-and-control, and equipment support to civil authorities in the event of natural disasters continues to be demonstrated regularly and is unlikely to diminish. And many security challenges in the Americas are transnational, including humanitarian crises, illicit trafficking, organized crime, terrorism, and weapons proliferation. Army forces will continue to be ready to contribute to broader national efforts to counter those challenges at home, if needed. Our reserve component soldiers remain the bedrock of the army's domestic response capability, but where appropriate we will also dedicate active-duty forces, especially those with niche skills and equipment, to provide civilian officials with a robust set of reliable and rapid response options. 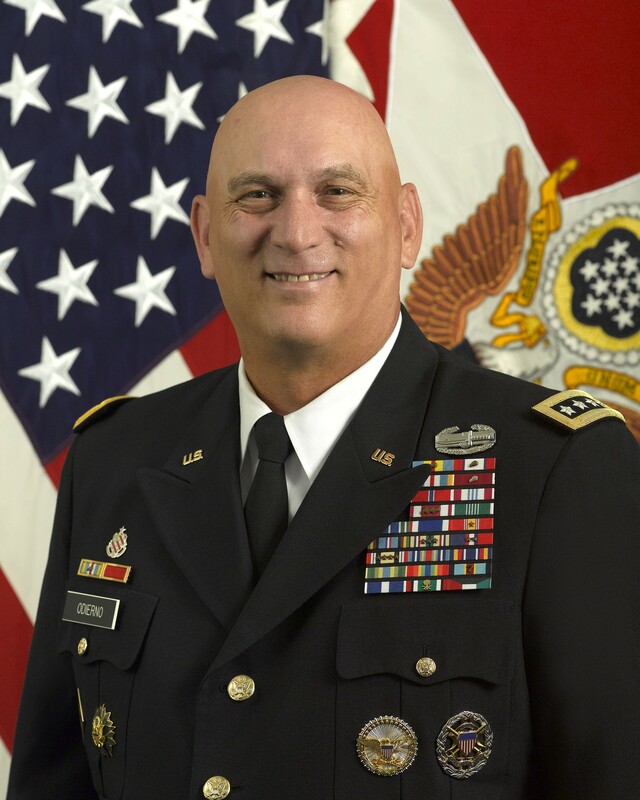 The final major transition the army must manage is that from a force focused on counterinsurgency, counterterrorism, and advising and assisting to one that actively prepares to effectively conduct a fuller range of potential missions. Since counterterrorism missions will not diminish in the foreseeable future, the army will need to preserve and enhance its relationship with joint special operations forces. The evolution of this partnership over the past decade has been extraordinary, and the ties can become even stronger as we continue to develop new operational concepts, enhance our training, and invest in new capabilities. The army will also need to preserve the intellectual and organizational knowledge it has gained about counterinsurgency, stability operations, and advise-and-assist missions. This expertise has come at a very high price that is etched into the hearts and minds of all of us who have worn the army uniform over the last ten years, and we will not dishonor our fallen comrades by allowing it to atrophy. But we will address new needs as well. The army will make it a high priority in the next several years to more fully integrate cyberspace capabilities into our tactical and operational units. Despite continuing ambiguities about how and when such capabilities may be employed, we will clearly be increasingly challenged in cyberspace, and we must accelerate our efforts both to protect ourselves and to exploit our advantages in this domain. The army will also make sure it firmly embeds one of the most costly lessons it has learned over the last decade: how to deal with the challenge of hybrid warfare. In the future, it will be increasingly common for the army to operate in environments with both regular military and irregular paramilitary or civilian adversaries, with the potential for terrorism, criminality, and other complications. Advanced technology and the information revolution have fundamentally altered the battlefield. Now, any activity a soldier undertakes can rapidly evolve into a combination of combat, governance, and civil support missions, and any individual, military or civilian, can alter the trajectory of an operation with the push of a button on a cell phone. The army's experiences in Afghanistan, Iraq, and elsewhere have shown that failing to account for this challenge is dangerous. In recent years, we have made great strides in incorporating the complexity of hybrid warfare into our training for deploying forces, and we are determined to consolidate and build on those gains to ensure that our soldiers and leaders are prepared for the uncertainty they will face in the future. Finally, the army needs to prepare for doing many different things well. In addition to combat of all kinds, possible operations in the next several years will include everything from helping victims of a flood to restoring order in a collapsed state with large-scale criminal activity, violence, and perhaps even unconventional weaponry. But how can the army broaden its scope and maintain its readiness even as the available resources decline? First, we must align our forces, both active and reserve, with regional commands to the greatest possible extent. Regional commanders' anticipations of likely contingencies should dictate the mission set for which aligned units prepare. This means that some units may focus on higher-end war fighting while others dedicate much of their training to disaster relief or exercises with partners in the region. Regional alignment will also help inform the language training, cultural training, and even the equipment that units receive. Second, we will develop our capacity for adaptation and rapid adjustment so as to be able to respond to unexpected demands of any kind as and when they emerge. At the individual level, this means revitalizing how we train and prepare our leaders. At the unit level, it means reexamining how to provide the most efficient, effective, and flexible forces to joint force commanders -- making sure they retain a high level of war-fighting competency while still training for other missions as appropriate. And at the institutional level, it means ensuring that the army's equipping strategy includes realistic projections about the industrial base and reevaluating the army's capability to rapidly project power around the world. The English philosopher Francis Bacon noted that "things alter for the worse spontaneously, if they be not altered for the better designedly." The army is determined to design its better future, given the constraints and requirements it faces. Over the next ten years, we will be increasingly focused on preventing conflict and shaping the broader security environment. This means maintaining a force of sufficient size and capacity so that potential adversaries understand clearly our ability to compel capitulation if necessary. It also means maintaining a vigorous presence abroad, one that reassures our partners and dissuades our foes. As we shift away from active involvement in major combat operations, we will increasingly emphasize activities aimed at deepening our relationships with partners and demonstrating our country's commitment to global security. Ideally, a focus on prevention and shaping will keep future conflicts at bay. Should they emerge nonetheless, the army, as part of the joint force, will be ready to decisively achieve American ends, whatever they may be. Ten years of war have produced an exceptional cadre of commissioned and noncommissioned leaders able to shift among different missions and different physical, political, and cultural environments. With years of sacrifice in Iraq behind us, and a responsible transition in Afghanistan on the near horizon, army leaders will put those skills to use again to posture the force for the decade ahead.